Fight Colorectal Cancer, also known as Fight CRC, has recently enrolled in ThinkGenetic’s expanding Advocacy Partner program, becoming the thirtieth organization to join in the past year. By entering the ThinkGenetic Advocacy Partner Program, Fight CRC will enjoy the benefits of an awareness boost, inclusion of its expertise in the ThinkGenetic.com knowledge base, and the possibility of donated funds to further its mission. 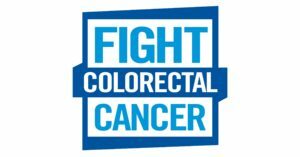 Fight CRC is a national nonprofit advocacy organization that plays an important role in rallying colorectal cancer advocates to action. Fight CRC is known for activism and patient empowerment throughout patient, academic, political, scientific, medical and nonprofit communities. With a mission focused on advocacy, research, patient education and awareness, the organization serves advocates in every state of the U.S. and many others around the world. The ThinkGenetic team is proud of growing participation its Advocacy Partner Program and is excited to team up with Fight CRC to benefit families affected by hereditary colorectal cancer by working together. 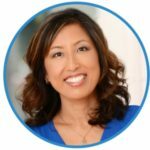 About the ThinkGenetic Advocacy Partner Program: ThinkGenetic enters into Advocacy Partner agreements with organizations, support groups, and charities to share information, increase public awareness of genetic conditions and provide trustworthy resources to those living with or caring for someone with a genetic disorder. Learn more and view current partners at news.thinkgenetic.com/advocacy-partner-program or email mailto:advocacy@thinkgenetic.com for information about enrollment in the program. 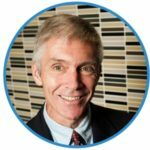 Prior to co-founding ThinkGenetic with long time business partner, Dave Jacob, Len founded series of IT companies that focused on custom application development, education and advanced search technologies. He holds an Electrical Engineering degree from the United States Naval Academy, an MBA from Auburn University and is a licensed professional engineer.